Private Groups allow you to annotate privately with a group of Hypothesis users. Only group members can see annotations created within the group, and users must be invited to join a Private Group. 1. Go to hypothes.is/groups/new, or select New Private Group from the scope selector in the Hypothesis sidebar. 2. 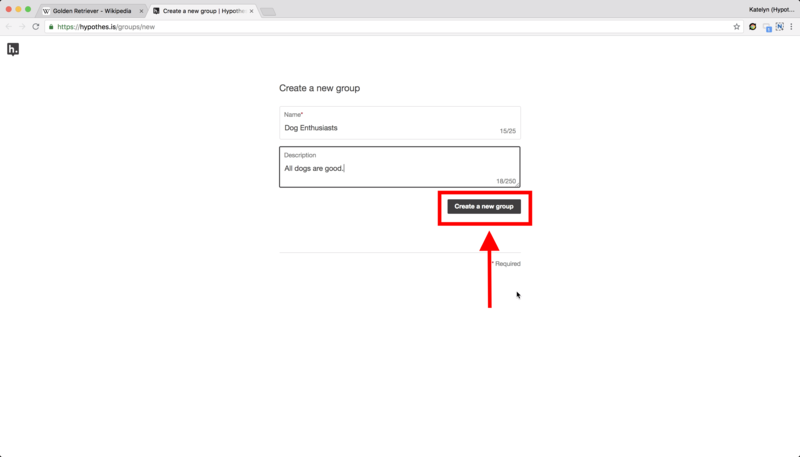 On the “Create a new group” page, add a name for your group and an optional description. Click the Create a new group button. Once the group is created, you will be redirected to the group’s activity page, which will collect a list of texts annotated within the group. 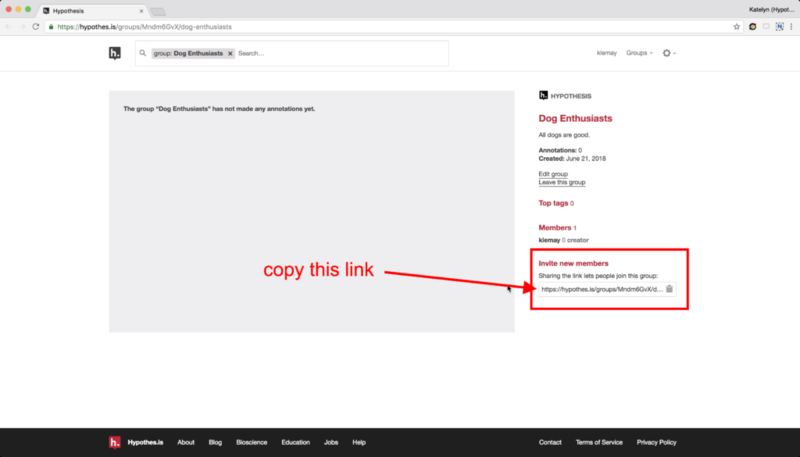 You will also be able to copy a link to invite people to join. 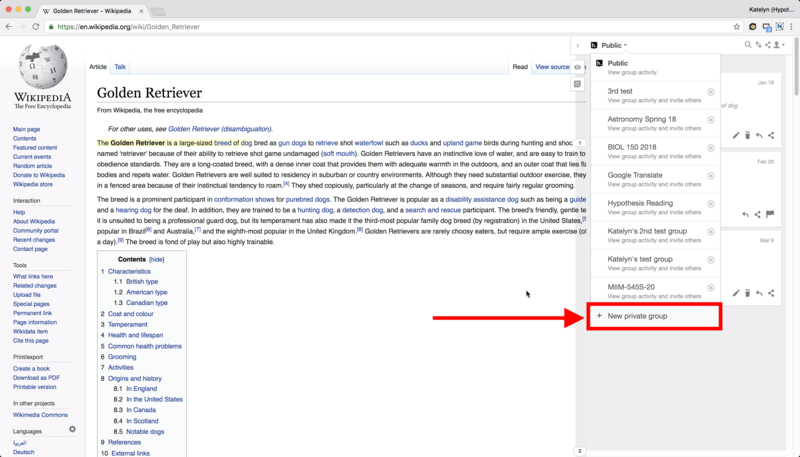 Now, you will be able to annotate within your group on any document or web page.